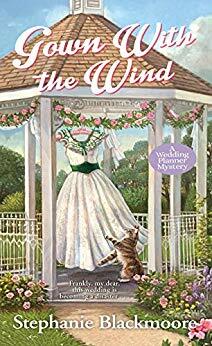 I could not wait to get my hands on this newest installment to this adorable cozy series. We finally get to see if the cheating ex makes it all the way to the alter after Mallory agrees to plan it even moving up the date when they get a cancellation. What follows is this blend of attacks, deaths, weird occurrences, and so much more all mixed around several events. Mallory has to struggle to keep up but she figured it all out in the end with a nice surprise ending. Perfect for fans of cozies and weddings. I really liked it so I give it 4/5 stars.